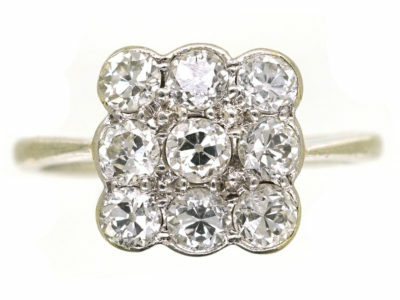 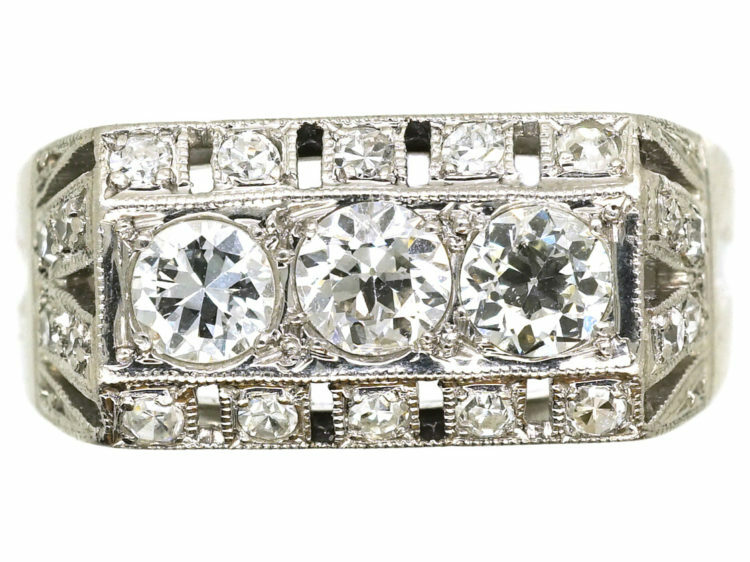 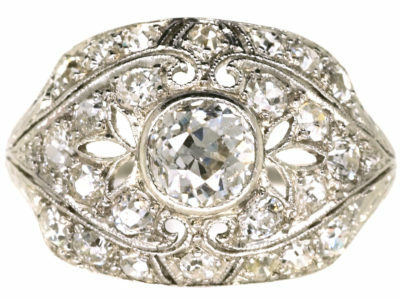 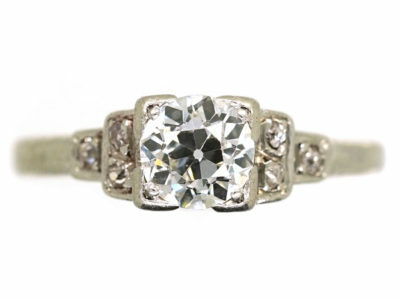 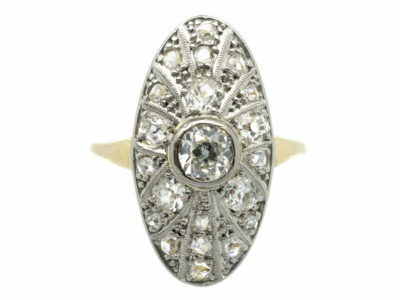 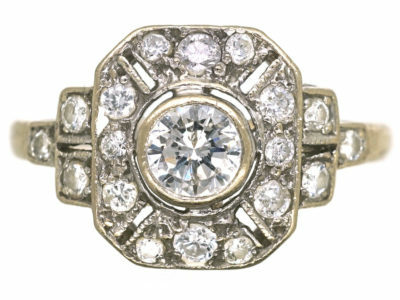 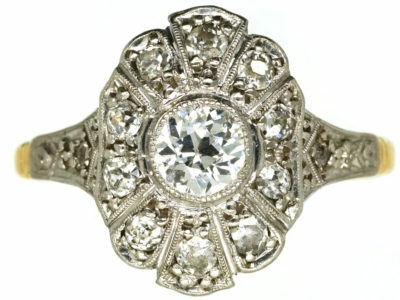 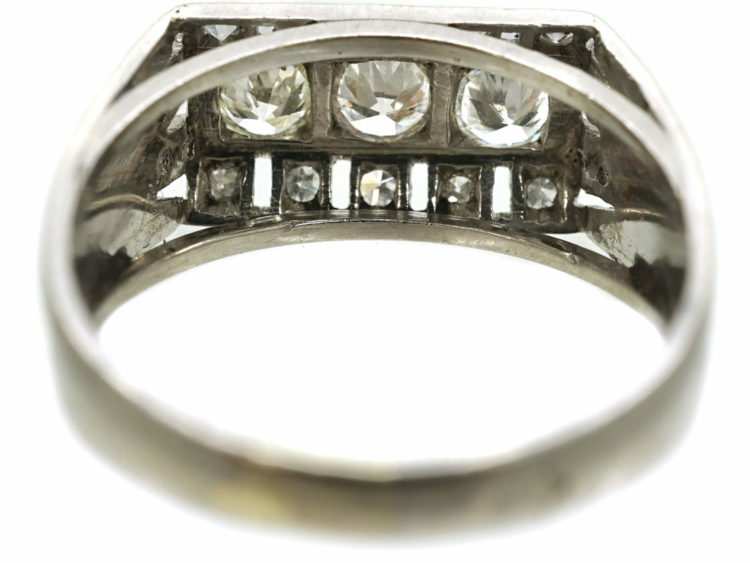 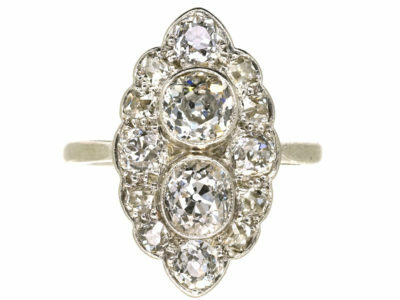 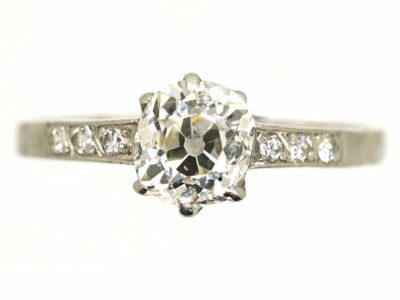 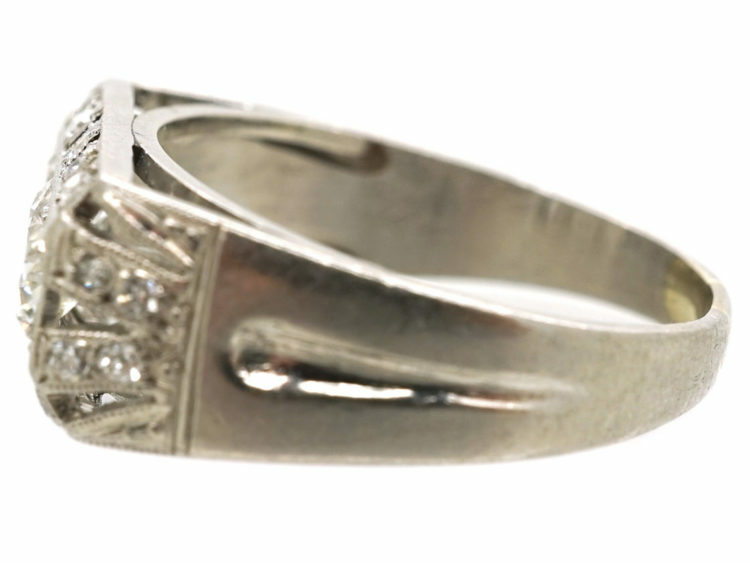 A lovely Art Deco diamond set platinum ring. 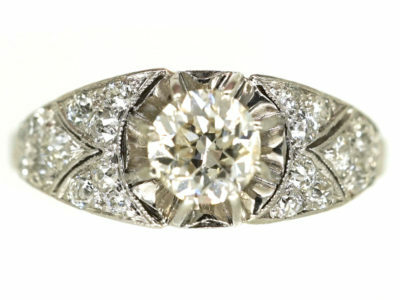 It was made in France circa 1920-1930. 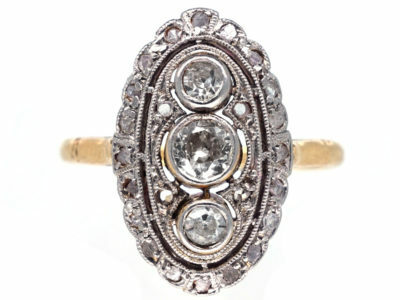 French jewellery is always very stylish and beautifully made and this ring is no exception. 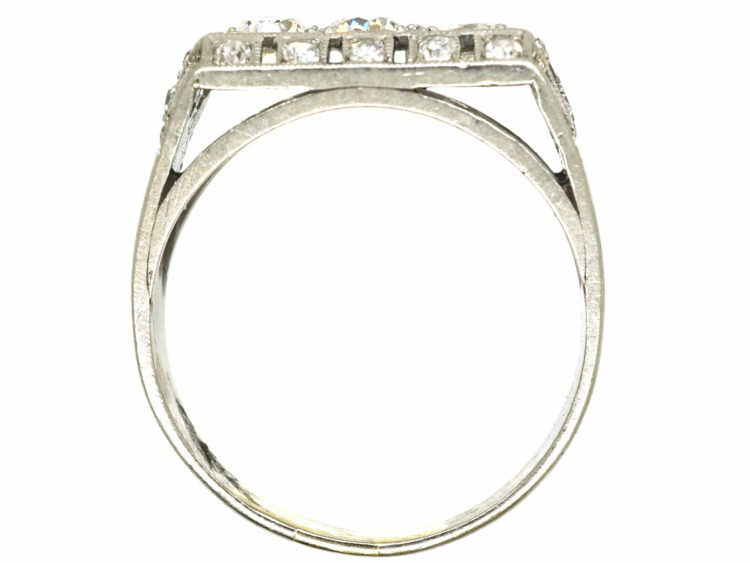 It has three bright white diamonds across the centre with smaller diamonds on either side and on the shoulders. 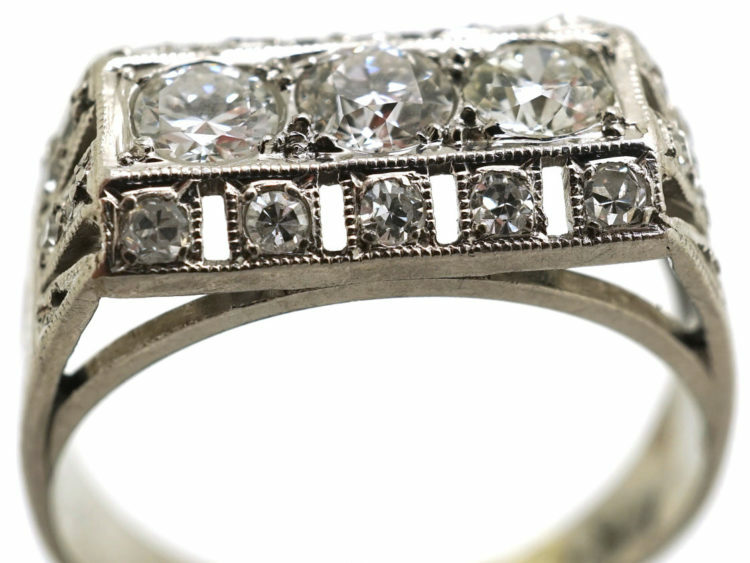 It has good pierced work design with added millgrain detail. 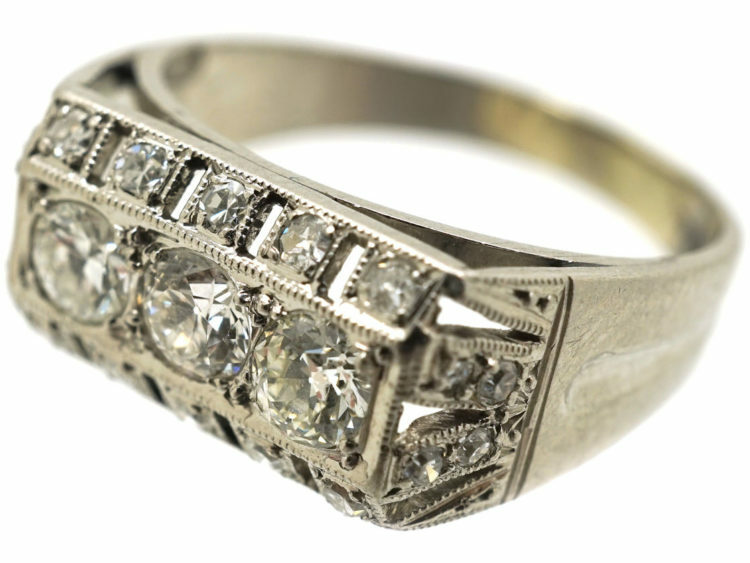 Millgrain is a row of tiny beads along the edge or boundary of a section of jewellery created by using a knurling tool. 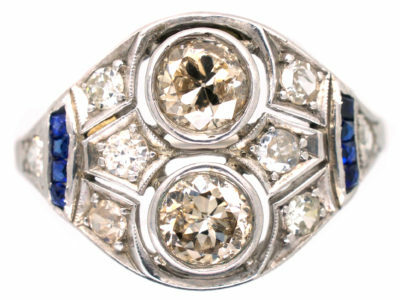 It would make an unusual and stylish engagement ring. 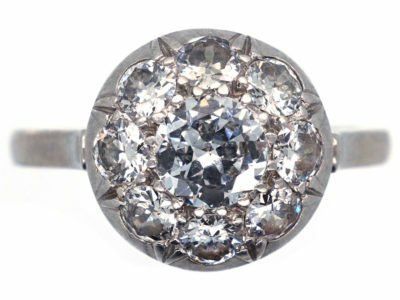 I love the bold design of this ring!